Federal tax credits on plug-in vehicles begin to phase out after the 200,000th sale of qualifying cars since 2010. California electric-car maker Tesla hit the mark in July. That means the tax credit — which could lop a significant $7,500 off the price of a Model S, Model X and Model 3 — will phase out over the next 17 months. Federal tax credits on plug-in vehicles range from $2,500 to $7,500, based on battery capacity. The IRS provides a full list of current models eligible for the credit, and all three current Tesla models are eligible for the maximum $7,500. Remember, a tax credit is different from a tax deduction, which merely reduces your total taxable income. A credit reduces the taxes you owe, so a $7,500 credit is the same as $7,500 going in your wallet come tax day, provided you owe enough in taxes. When does Tesla's tax credit phase out? Tesla's $7,500 tax credit per vehicle drops to $3,750 on Jan. 1, 2019. It drops to $1,875 on July 1, 2019, then vanishes entirely on Jan. 1, 2020. So to get the maximum credit, I have to order my Tesla by Dec. 31? Far before then, actually. The Model 3 is on a months-long waitlist, and remember, the tax credit applies to when you take delivery of the car — specifically when the "title to that vehicle passes under state law," per IRS guidance — not when you order it. But couldn't I lease a Model 3 late this year to get the tax credit? No. Although tax credits for leased cars go to the leasing company, which often passes on the savings in the form of a lower monthly payment, Tesla doesn't offer leasing on the Model 3 yet, though it eventually plans to. The automaker currently offers leases for the Model S and Model X, however. What's the current waitlist for the Model 3? Tesla recently moved from a reservation system for the Model 3 to traditional advance orders, similar to the way you'd buy a Model S or Model X. As of this writing, orders for the Model 3 have a waitlist of just two to four months. Even at the long end of that, they should arrive in time for the full tax credit. Here's the bad news: Those orders are only for the long-range Model 3 with the Premium Interior package at minimum, and that car starts around $50,000 — well beyond the Model 3's much-ballyhooed $35,000 starting price. But I signed up through the original reservation process. How come others get to cut in line? It's a vexing situation, especially if you're waiting on a cheaper Model 3. A Tesla spokesperson told us the automaker has to produce higher-margin variants of the sedan first, so it's opened orders to expedite cars for people who want to buy those versions. A portion of consumers in the current pool of Model 3 reservation holders — roughly 420,000 worldwide as of early July, per Tesla — want variations that won't come until later, the automaker confirmed. I want to stay in line for my particular car. How long will it take? That depends on a lot of factors. About 11,000 Model 3 sedans were in transit to customers at the end of the second quarter "and will be delivered in early Q3," Tesla said on July 2, but that's to the U.S. and Canada. On Aug. 2, Tesla's investor guidance projected Model 3 production at 50,000 to 55,000 units in the third quarter. That works out to around 4,000 cars per week, a pace at which the reservation backlog would take well over a year to fill. Even if Tesla accelerates to 10,000 cars per week — a rate the automaker said it aims to hit "as fast as we can" — it's likely that many, if not most, reservation holders who stick to a configuration not currently available will only qualify for a lower tax credit once their cars arrive. Will anyone get a $35,000 Model 3 in time to get the maximum tax credit? That's unlikely. As of Aug. 2, Tesla's website said the Model 3's standard battery would be available in six to nine months, a timetable that suggests the base car won't arrive until at least early 2019. By then, the tax-credit drawdown would take effect. Asked for a more specific timeframe — and the possibility of any base-model deliveries by the end of 2018 — Tesla said it hasn't committed to any exact dates on the base model yet. Why won't Tesla build base models sooner? Financial reasons, apparently. Asked when Tesla would build the first base Model 3, CEO Elon Musk tweeted on May 20 that the California automaker needed vehicle production to "achieve target rate" and "smooth out flow to achieve target cost" before it would ship base models. To build the cheapest Model 3 off the bat would run Tesla out of money, Musk continued. Tesla has identified two production milestones for the sedan — 5,000 units per week, then eventually 10,000 per week — to reach capital efficiency, according to regulatory filings earlier this year, but Musk's tweet indicates the automaker could start to build the base model once it sustains the first milestone for three to six months. Tesla recently hit that mark, building just over 5,000 Model 3 sedans in the final week of June and sustaining the pace "multiple times" in July, Tesla said Aug. 2. The overall production rate in the second quarter of 2018 has averaged less than half the clip, however, and analysts question its sustainability. If it's sustainable, the first base Model 3 sedans could roll off the assembly line sometime this fall at the earliest, by Musk's timeframe. Judging by the announced availability of the standard battery — again, six to nine months from this writing — it appears shoppers won't get them for a little longer still. If I decide I want a Tesla later this year, am I stuck with the lower tax credit because I waited too long? It depends which car you want. The Model S and Model X don't have lengthy waitlists like the Model 3; you can order one and get it in anything from a few weeks to around two months, Tesla told . Although the automaker doesn't follow a traditional inventory strategy, there might be a few cars at your local showroom — demo units used for test drives, for example — that you could nab on short notice. If you finally decide to pull the trigger on a Tesla the week after Christmas, that might be your only path to a full tax credit. Once I get my car, how do I file for the federal tax credit? Fill out IRS Form 8936, but make sure you have enough tax liability. Alison Flores, a principal tax research analyst at H&R Block's Tax Institute, warned you can't carry over any unused portion of your credit to future tax years. "If the plug-in vehicle credit will be limited by tax liability, their [tax] advisor can help them understand what actions they might take to impact their tax liability, such as selling appreciated assets or making a nondeductible IRA contribution instead of a deductible contribution," Flores wrote in an email to . Is Tesla also eligible for any state or local tax credits? It depends where you live. 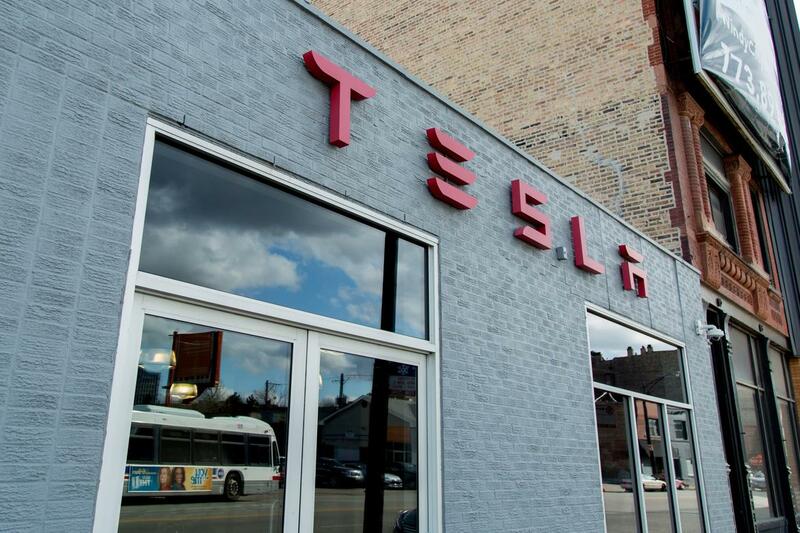 Tesla lists 13 states and Washington, D.C., with additional tax exemptions, but specifics vary greatly: "A few states offer tax credits, but with different dollar values and eligibility requirements," Flores wrote. "More states offer rebates based on the vehicle's sales price or income eligibility guidelines. A sales tax or excise tax exemption may be available in a few states." Pay attention to any caps on such incentives. Some states may limit what you actually get. "Regardless of the benefit, states may have limits on the total value or amount of tax incentives the state can issue," Flores warned. "This means in some cases, buyers may not receive the maximum state benefit or any state benefit for the plug-in vehicle purchase."